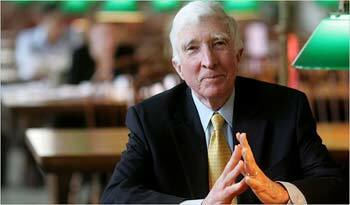 In my travels about the internet I happened upon six of John Updike’s rules for literary criticism. Though these rules were originally published in Updike’s 1977 anthology Picked up Pieces, I think they remain relevant for experienced contemporary critics as well as those seeking to dip a toe into critical waters. In fact, I suspect these guidelines could be applied as signposts for any sort of critical analysis, regardless of the medium in question; in the interest of brevity, I’ll save said discussion for another day. A word of warning before we proceed any further. Criticism, like art itself, can often be a very subjective thing. What one person reasonably and rationally justifies as a sound evaluation can just as easily and efficiently be dismissed by another. Therefore, it’s important to take the following rules, as well as my subsequent editorial, with a grain of salt. When art is defined by what the audience is willing to accept as art, the waters of critical consideration can get a bit muddied. 1- Try to understand what the author wished to do, and do not blame him for not achieving what he did not attempt. In my estimation this is a crucial first step. Reading a text with enough depth to understand the author’s motivations informs the sorts of conclusions that can be drawn from various metaphors, allusions, and sundry literary devices within the book. Additionally, there is a difference between blaming an author for missing their goals and holding them to account for the self same shortfall. Assume that a dedicated artist is concerned with honing their craft. Showing how a book misses an understood, or explicit, goal is a very good way to help an author reflect on their growth. Moreover, it establishes a meaningful connection between critic and writer. 2- Give him [or her] enough direct quotation – at least one extended passage – of the book’s prose so the review’s reader can form his own impression, can get his own taste. Generally, I don’t think this is a hard and fast necessity. Between Google books and Amazon it’s easy enough to find a chapter of a given book. However, there is something to be said of a critic who can find a passage from a book which embodies the novel’s themes as well as the writer’s narrative voice. Alternatively, there are writers whose wholesale style and subject are so unconventional, James Marshall comes to mind, that any paragraph would be sufficient to show off a text’s essential uniqueness. 3 -Confirm your description of the book with quotation from the book, if only phrase-long, rather than proceeding by fuzzy precis. Again, not a rule I think people need to follow. 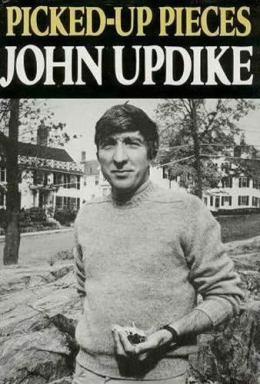 Updike was writing for a literary market with less access to books and book marketing than the world in which we find ourselves today. This said, rule three speaks to something essential and often absent within a quick, fast, and dirty review market: supporting evidence. Regardless of word limits and other such barriers, if a critic puts a judgement on the table they owe the reader and subject under evaluation some level of substantiation. 4- Go easy on plot summary, and do not give away the ending. Yes. Forever yes. Frankly, it is a poor critic who can’t evaluate a text without giving away the ending. One, if not the ultimate, purpose of a review is to help a reader make an informed choice about if they will read a particular text. Spoiling the ending, or giving away the resolution to a story’s central conflict nullifies the need for a review. However, there is a time and place for full-on analysis. In those missives, which can often masquerade as reviews, surprise endings are not sacrosanct. 5- If the book is judged deficient, cite a successful example along the same lines, from the author’s ouevre or elsewhere. Try to understand the failure. Sure it’s his and not yours? The ability to compare from one text to another is the mark of a great and well experienced critic. Bearing this in mind, any poser can use Wikipedia to pad a piece with a couple hundred words of name dropping. Even if those references are genuine, filling a review with oblique comparisons can be worse than useless to somebody using a review as a roadmap to break into a particular genre or style. I’d also offer there’s nothing wrong with a critic who is willing to admit that their personal taste renders a certain book unpalatable. Again, so long as the reviewer is clearly justifying their position – so much so that the reader can compare their own tastes to the critic’s – they are doing their job. Updike also offered a sixth potential rule. 6. To these concrete five might be added a vaguer sixth, having to do with maintaining a chemical purity in the reaction between product and appraiser. Do not accept for review a book you are predisposed to dislike, or committed by friendship to like. Do not imagine yourself a caretaker of any tradition, an enforcer of any party standards, a warrior in an ideological battle, a corrections officer of any kind. Never, never (John Aldridge, Norman Podhoretz) try to put the author ‘in his place,’ making him a pawn in a contest with other reviewers. Review the book, not the reputation. Submit to whatever spell, weak or strong, is being cast. Better to praise and share than blame and ban. The communion between reviewer and his public is based upon the presumption of certain possible joys in reading, and all our discriminations should curve toward that end. Much of this rule exists to protect the critic. Just as authors put a part of themselves on public display through their work, so too do critics. It’s a different sort of vulnerability, but it exists in the moments when readers go out of their way to tell a critic they are wrong/stupid/tasteless. Sage advice for all critics.